There's an ongoing debate about the preservation of ghost signs. Very few have any formal protection, but should they be cared for in other ways? In particular, is it good or bad to put them behind plastic, or even to repaint them altogether? The latter approach has been taken for a number of signs. 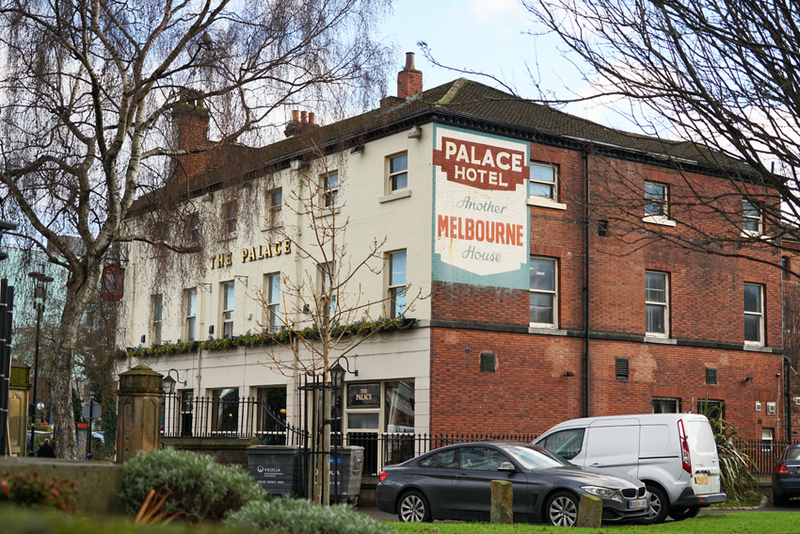 Two Yorkshire examples are the Palace Hotel sign in Leeds, and the Bile Beans advertisement in York. The restoration of the Leeds sign has been carefully done. It is clearly brighter and sharper than would otherwise be the case, but it feels 'right'. While the Palace is still there, Melbourne Ales (a Leeds brewery) are gone - taken over by Tetley in 1960 - so this is a tangible link to Leeds' brewing past. 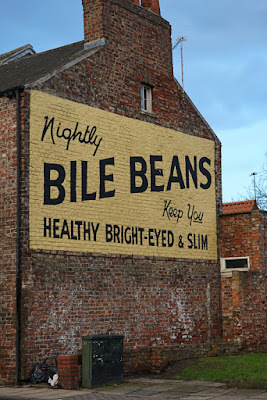 The York sign proclaiming that Bile Beans keep you healthy, bright-eyed and slim is very popular locally. It even has its own mugs and shirts. However, it is also a restoration, and not the first, as York Stories and Ghost Signs have explored. 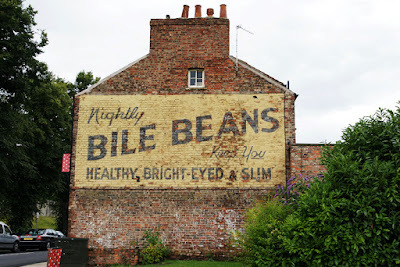 The original sign was exposed in the 1960s, somewhat faded, when a hoarding was removed; in 1986, it was repainted by York Arts Forum at local people's request and the manufacturer Fison's expense (ironically, just as they were discontinuing the production of bile beans). In 2012, money was raised locally to pay for a second repainting; as a result, the sign is vivid and crisp - but hardly authentic. Reaction was mixed; there has even been a comma controversy. What we gain in clarity, we lose in authenticity. On the other hand, we do get a clearer sense of the original impact of these adverts. 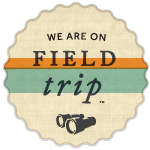 We may also have our assumptions challenged: the Leeds sign 'feels' more authentic because its colours look vintage. 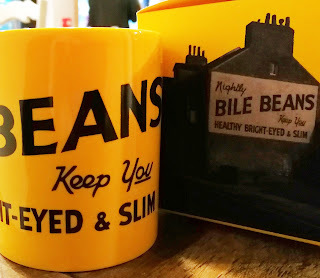 That's not so true of the bright yellow in York, which may nonetheless be more palatable to our tastes than the 'original ghastly ochre colour' the first restoration eschewed. 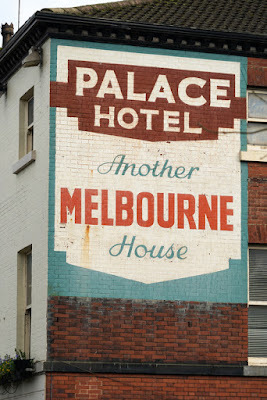 It is a worthwhile reminder that just because its survivals tend to be faded and subtle, vintage wall advertising was not! Should ghost signs be restored? It's a debate with no obvious answer. However, perhaps the last word on the restored Bile Beans sign should go to York Civic Trust director Peter Brown: 'It puts a smile on your face'. 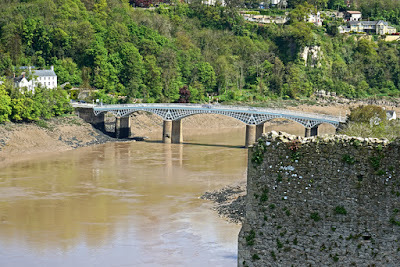 The Old Wye Bridge, Chepstow, is an elegant structure which also offers fine views of the town's castle. It is also a rather impressive piece of engineering history: the largest surviving iron arch bridge from the early nineteenth century. Soon, suspension bridges would be preferred for longer crossings: fifteen years after the Old Wye Bridge opened in 1816, construction began on one of the most famous examples of the newer technology, the Clifton Suspension Bridge. However, when the bridge was opened, it was a very modern replacement for its predecessor. Cast iron was a new construction material, quite a contrast to the previous wooden bridge with its a few stone piers. Responsibility for its maintenance had been shared by the two counties at either end, Monmouthshire and Gloucestershire, since 1576. Neither seems to have discharged that responsibility with great enthusiasm: the bridge suffered everything from benign neglect to deliberate destruction (the latter by Royalist forces during the Civil War). 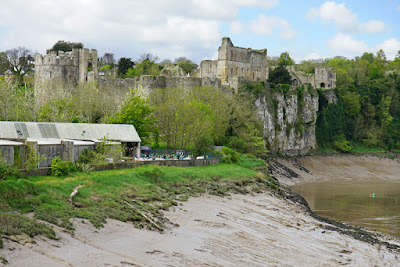 A replacement was already being suggested in 1768, but smaller, poorer Monmouthshire was unwilling to pay an equal contribution to Gloucestershire. The plans fell into abeyance until 1810. 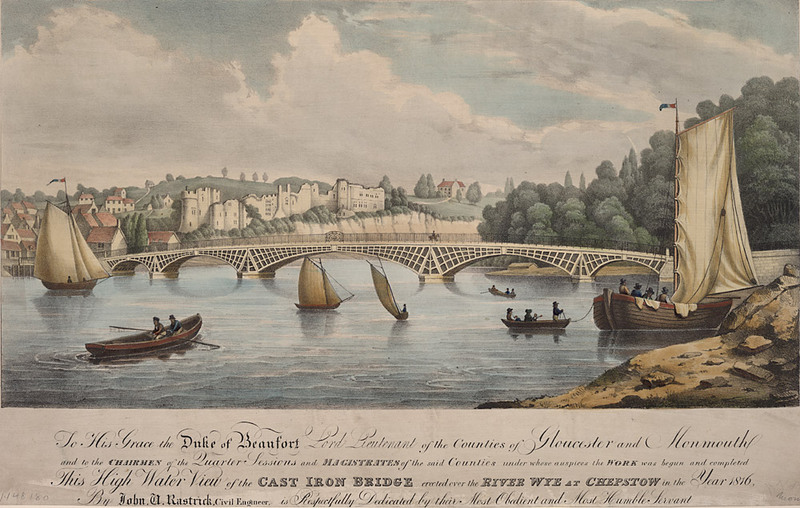 That year, the bridge was dangerously decayed, and John Rennie was commissioned to produce designs. Their cost led to further delay, but matters were brought to a head in 1812 when a ship hit and partially demolished the bridge. Six people died in the accident. At last, a new bridge was agreed - designed and built by Hazeldine, Rastrick and Co (better known for their work on early railway steam engines). Their bridge cost far less than the abandoned Rennie design, but the saving was not at the expense of style. Its five cast-iron arches on stone pillars are now Grade-I listed. Its later life has not been untroubled. Traffic has changed enormously in quantity, size and weight since it was built, and strengthening was required in 1889 and 1979. However, a few years later a new road bridge took most of the traffic, and the bridge stands serene once more.